Kristin Chenoweth has been a part of our holiday season for years, lending her voice to her popular Christmas album "A Lovely Way to Spend Christmas," and now the Broadway star and "Glee" actress is joining in on the seasonal fun again by sending us her outstanding picks for a holiday gift guide. 1).THE ART OF ELEGANCE CD: "Music provides a meaningful and magical setting for the holidays. Whether it's holiday classics or American Songbook standards from my new album "THE ART OF ELEGANCE," the gift of music is always sure to bring a SMILE to the faces of loved ones." 2). 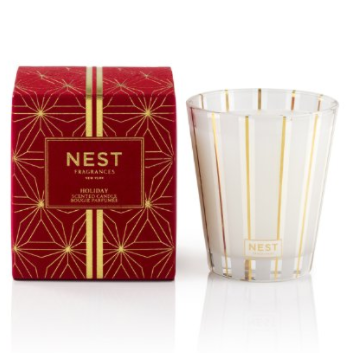 The NEST "Holiday" Classic Candle: "This candle has become somewhat of a tradition. As the official "scent" of the Chenoweth home for the holidays, we wax nostalgic while making our season bright with aromas of pomegranate, mandarin orange, pine, cloves and cinnamon." 3). A new ornament: "Decorating for the holidays is a custom for so many of us around the world. For my family, the Christmas tree is at the heart of the matter so we love sharing holiday ornaments that carry special meaning. This year my Song & Dance Bear ornament for HSN CARES benefits St. Jude Children's Research Hospital with 100% of its profits. And of course, for my fellow lovers of pink, my newly released concert merchandise line has fuchsia tree décor to die for." 4). Give the gift of sweets: "While I love baking this time of year, I don't always have the time. And to be honest, Schmackary's takes the cake, er, cookie. Their luscious confections including my favorites Funfetti and Chocolate Duet are showstoppers. 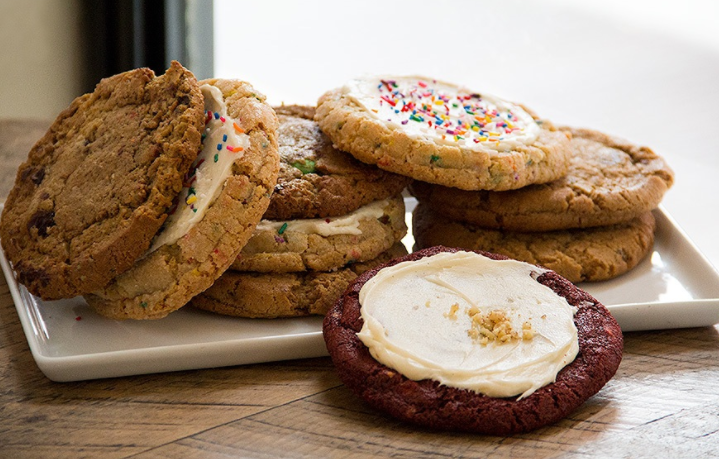 They are not just simply scrumptious, Schmackary's puts their money and support where their mouth is helping to foster the Arts, Broadway and Theatre Community through charities like Rosie's Kids, The Actor's Fund and The Trevor Project. Nothing says "Kristin" more than cookies for a cause." 5). Donate, donate, donate: "Looking ahead to the New Year, I know we are all hoping to make our world a better place, make a difference in the lives of those around us. Support the causes that mean something to you, to your friends and to your family. Make a donation in their name. These are a few of the ones that mean the world to me. Find yours. Broken Arrow Performing Arts Center (BAPAC)/The Kristin Chenoweth Theatre, ASTEP (Artists Striving to End Poverty) and Broadway CARES/Equity Fights Aids (brokenarrowpac.com, astep.org, broadwaycares.org)"